On 30th March 2017 Betsafe proudly announce the signature of an agreement with the major brand Cage Warrior. The signature of this 2-year agreement was publicised in conjunction with a 12 months broadcasting deal with Cage Warriors and UFC events on BT Sport. Whilst this partnership is a great news for the edgy brand, MMA fans and casino players it is not a big surprise. Betsafe already had a strong tie with MMA and UFC athletes after signed Emil Meek, Jack Hermansson, Kenneth Bergh and Mohsen Bahari as brand ambassadors not long ago. A great thing for players is that we’re certain that Betsafe will hand out tickets to UFC and MMA events in upcoming promos as they have done for Gumball another brand they sponsor. What product does Betsafe offer? Betsafe has always been known to be the daring brand of Betsson AB Group. Their target market is the savvy online gamblers and the thrill seekers. For this reason, Betsafe offers a wide range of product such as Poker, Sportsbook, Casino and Live casino. Players who choose to signup with Betsafe can claim a welcome package worth £1000 depending on the geo-location of the players. Just like Leo Vegas, HelloCasino and InstaCasino, Betsafe offer games from Microgaming, NetEnt, Nyx Interactive, Quickspin, Play’n GO, Scientific Games (Williams Interactive) to name a few. They have wide selections of payment methods which include Visa (debit, credit or Electron), MasterCard, Maestro, Entropay, Neteller, Skrill, Bank Transfer, Citadel and Paysafe Card. 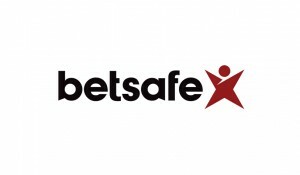 Betsafe has also won several awards for the quality of their customer support which is available via e-mail, live chat and telephone 24/7. If you would like to have more about Betsafe or any other online casino welcome offer make sure to visit our bonus section to always get the best value out of your deposits.